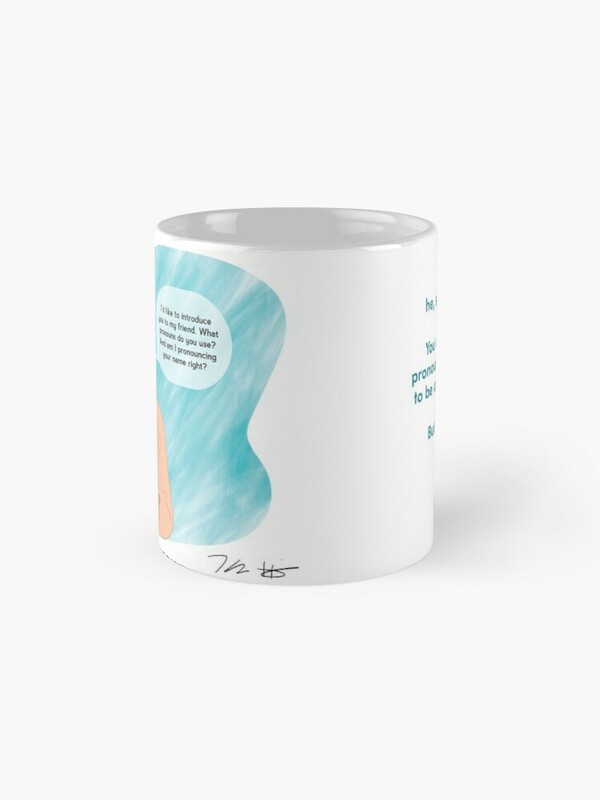 With this mug on your desk, you can subtly (or not so subtly) remind everyone not to assume people's gender pronouns - and how to ask respectfully. 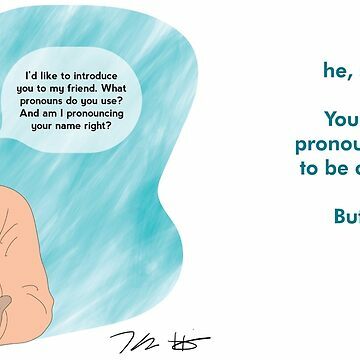 Drawing shows a person in a peach shirt with a speech bubble saying "I'd like to introduce you to my friend. 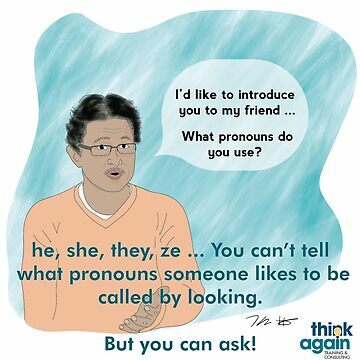 What pronouns do you use? And am I pronouncing your name right?" 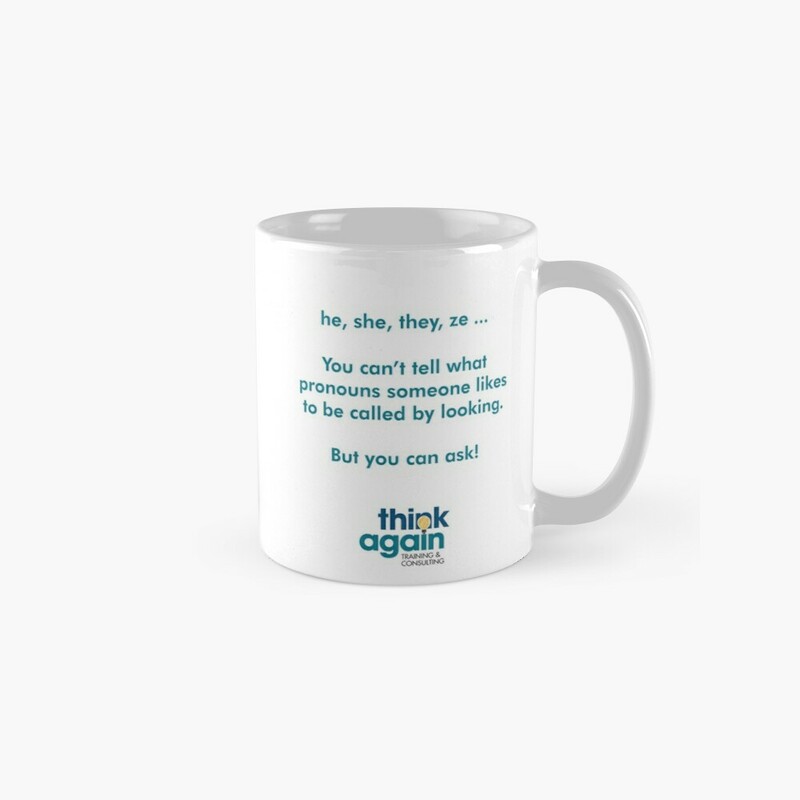 Words on the opposite side of the mug say, "he, she, they, ze ... You can't tell someone's pronoun by looking. 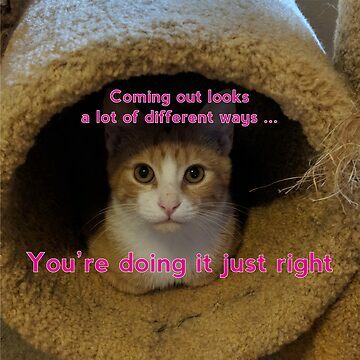 But you can ask! (and say why you're asking)". Original drawing by Kai Hofius. Concept by Think Again Training & Consulting. 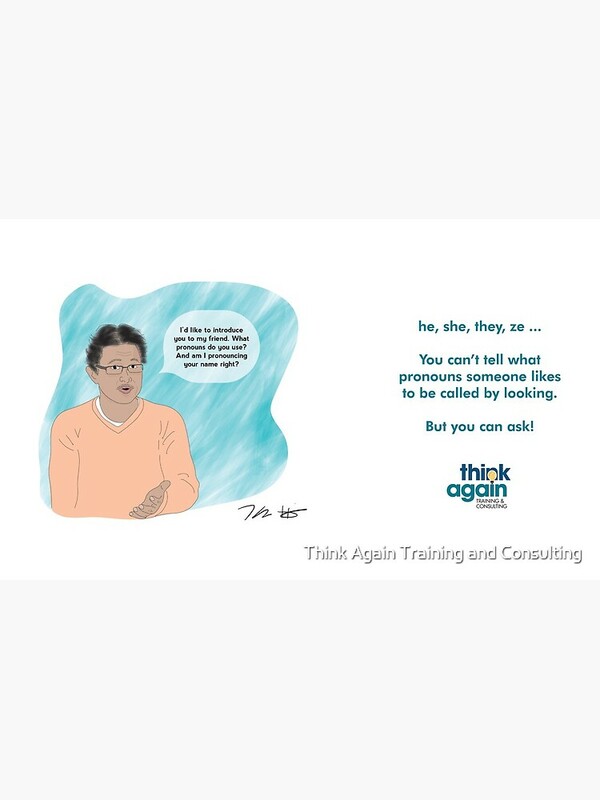 For more info about our trainings and consulting to help build just and inclusive organizations, visit us at www.thinkagaintraining.com.